On select nights, guests can enjoy an all-you-can-enjoy Louisiana-style boil featuring crawfish, shrimp, potatoes and corn-on-the-cob and, upon request, chicken and andouille sausage jambalaya. After, guests will get an exclusive viewing area for the Mardi Gras parade with king cake, beignets, sparkling wine and assorted non-alcoholic beverages to indulge in. The first Bayou Boil will start on February 16 and continue select weekend nights through March 31. Guests can also enjoy a variety of classic New Orleans dishes with the Mardi Gras Tasting Lanyard, allowing them to sample multiple dishes and beverages for one price. Whether guests are looking to enjoy all of this year’s food and beverage items, or sample just a few of the bold new additions, there are a variety of Mardi Gras Tasting Lanyard options to choose from starting at $30 plus tax. Among these options is an exclusive Passholder Tasting Lanyard, which includes 15 sample dishes for $60 plus tax. Each Mardi Gras Tasting Lanyard can only be purchased in park at the French Quarter Courtyard, Monster’s Cafe, Bone Chill and the Universal Studios Florida Reservation Cart. Click here for more information or to book an add-on experience at the 2019 Universal Orlando Mardi Gras. Universal Orlando’s family-friendly version of the renowned New Orleans party features authentic Cajun-style cuisine, bands and entertainment straight from the Big Easy, and an absolutely incredible nightly parade. And everything is included in the regular admission price for the park. Last year, Universal Orlando surprised us and invited our group to ride on one of the floats while tossing beads the the crowd. The 2019 Universal Orlando Mardi Gras parade will have 12 hand-crafted floats engineered by Kern Studios, the same company that has created floats for the iconic New Orleans celebration since 1947, and will debut six new floats featuring animals from the arctic, jungle, ocean and more. The party animal-themed Mardi Gras parade will run nightly throughout the streets of Universal Studios Florida with the intricately detailed floats, vivacious dancers and stilt performers, and countless beads. You can also enjoy authentic Cajun cuisine at The French Quarter Courtyard with performances by bands pulled straight from Bourbon Street. New for 2019, all food and beverage items will be served as a tasting size, allowing guests to experience a variety of classic New Orleans dishes throughout their visit including gumbo, jambalaya, po boys and more. In addition the event will feature new menu items including, frog legs, crab etouffee and craft beer flights featuring regional brews from Louisiana. The 2019 Universal Orlando Mardi Gras runs daily from February 9 through April 4. For 13 select nights during the event, guests can enjoy headline performances by some of the biggest names in music, including GRAMMY award-winning rapper, Macklemore, globally renowned superstar, Pitbull, chart-topping country music duo Dan + Shay and Latin superstar Becky G. Check out the Official Universal Orlando Blog for the complete concert line-up. Remember, there’s no additional charge for the entertainment during the 2019 Universal Orlando Mardi Gras celebration. 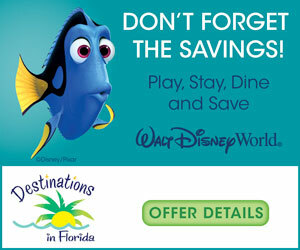 Everything (except food and beverages) is included with admission to Universal Studios Florida or with an Annual Pass. So, as they say on the bayou, Laissez les bon temps rouler! For more family travel news, reviews, and trip reports, be sure to follow Adventures by Daddy on instagram, twitter and “like” our facebook page too.